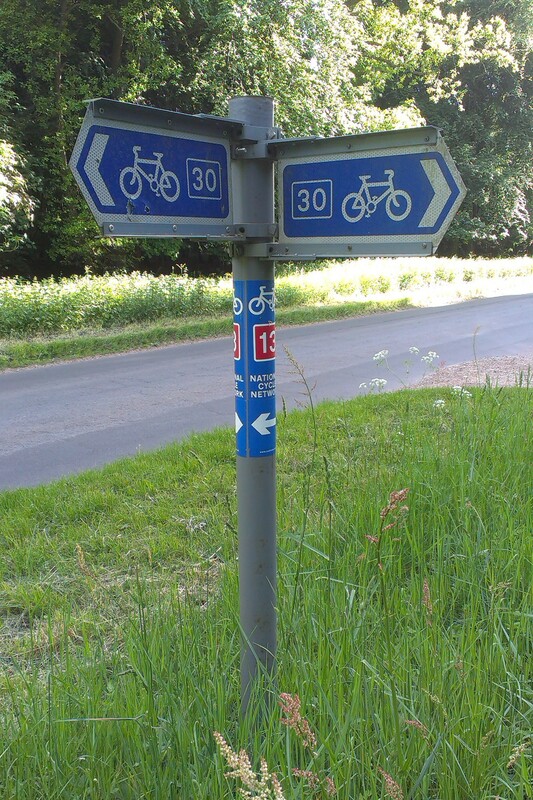 I went out for a route inspection of my stretch of Regional Route 30 between Thetford and Weeting today. I found a few bits of work to be done. 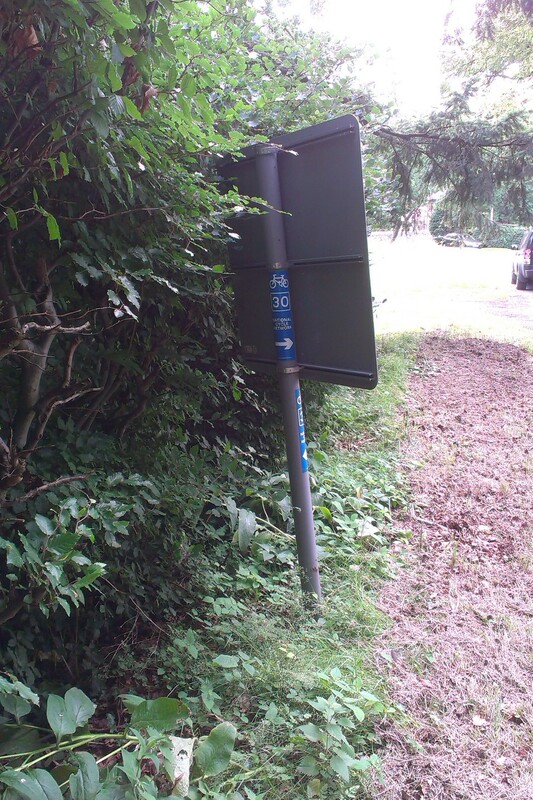 First, some of the temporary signs were in poor condition. 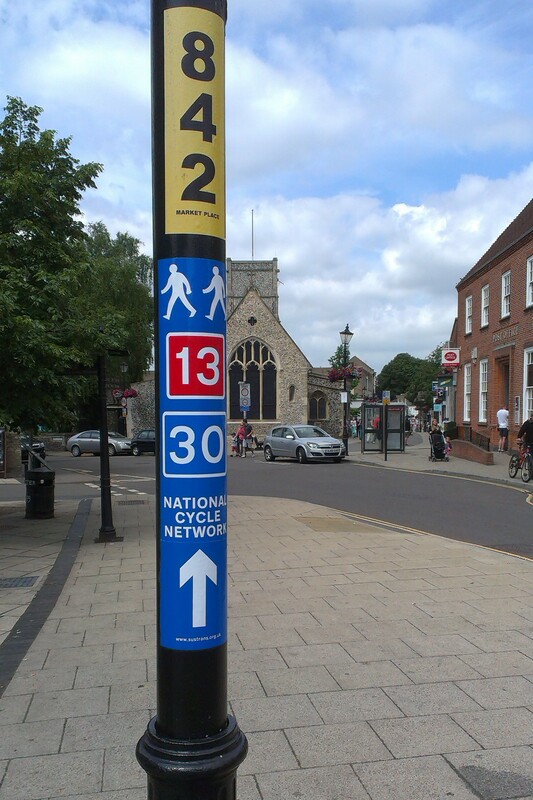 I replaced one in the Market Place in Thetford that had been scratched and had one corner pulled off. 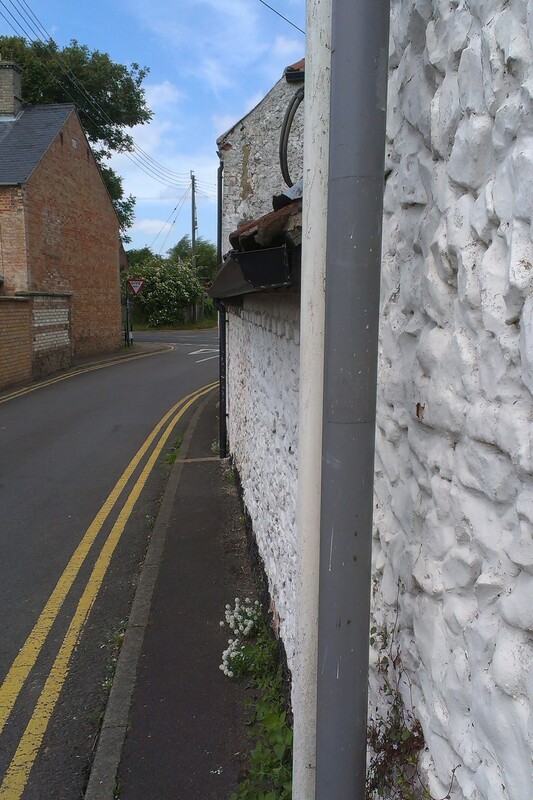 I also removed a sign at the north end of Rectory Road in Weeting that was looking a bit the worse for wear and but was superfluous to requirements. 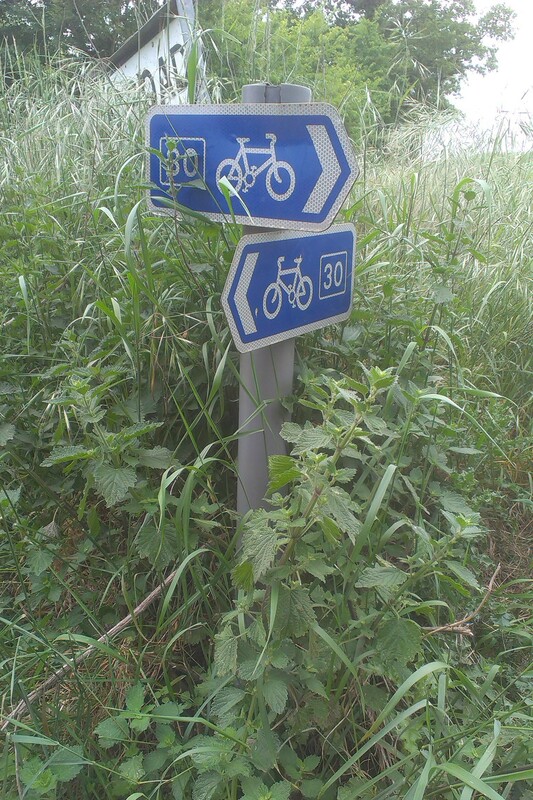 A few signs were being obscured by growing vegetation, which I was able to cut back. 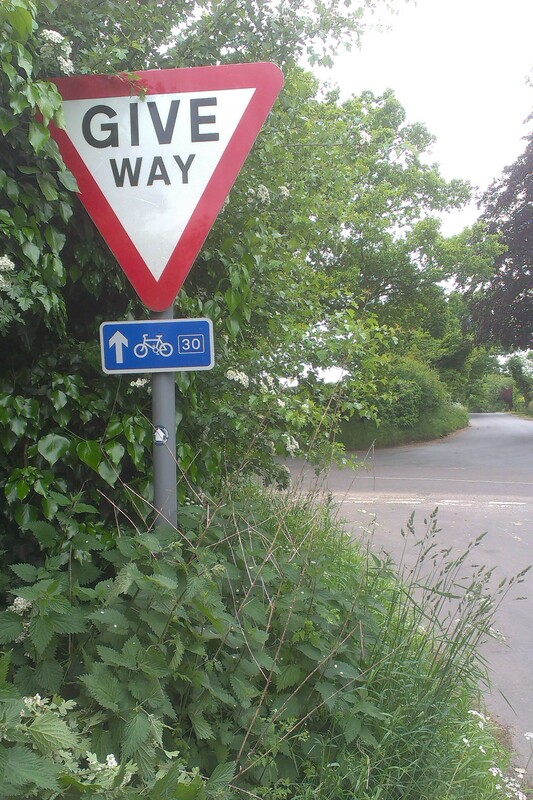 There was one sign just before the junction with the C622 in Santon Downham, one where the route joins Gashouse Drove from St Benedict’s Road in Brandon, and one and where Peppers Close meets Rectory Road in Weeting. 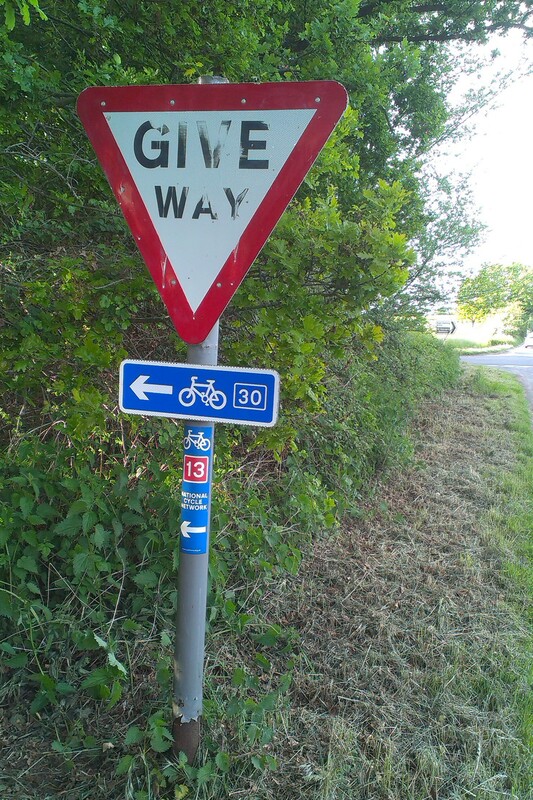 Finally, I was able to replace the direction arrows on a couple of the signs with one of the new advanced turn arrows, which have just been made available by Sustrans. 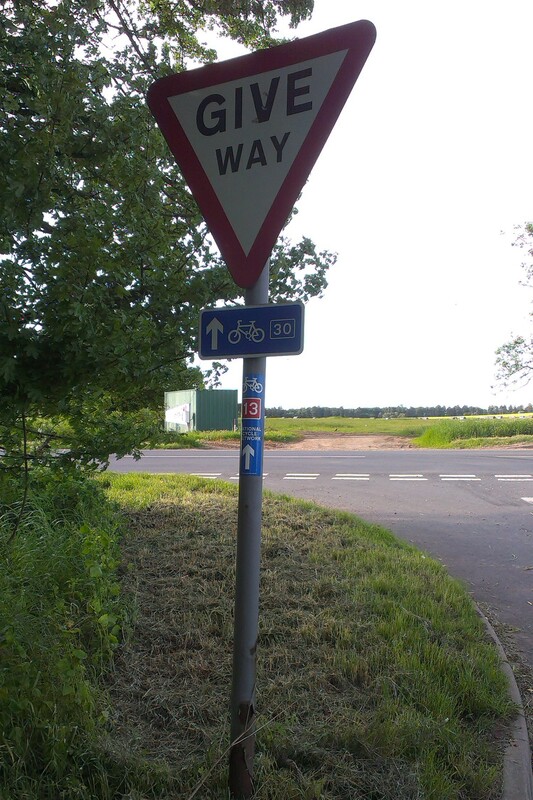 There was one sign just before the turning from Downham Way into The Paddocks in Brandon, and one just before the turning off the C873 into Peppers Close in Weeting. For further details, please see the volunteer vacancies page. 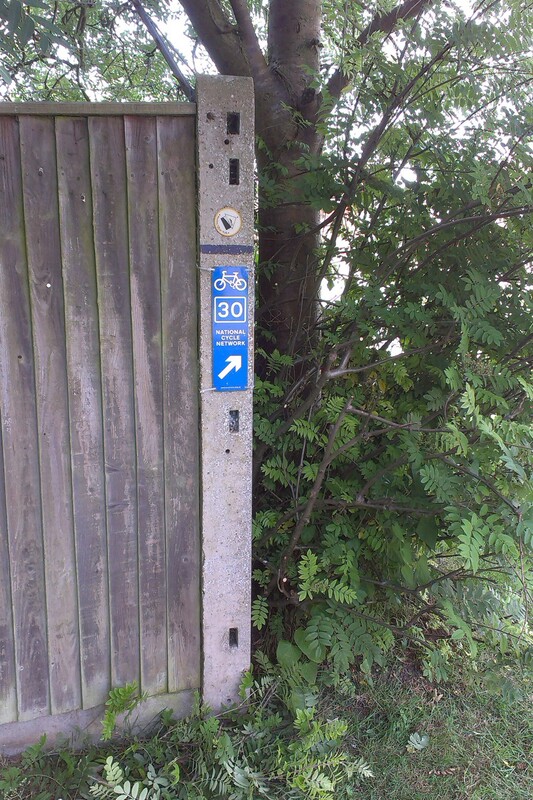 While out on a walk, I came across a couple of route 30 signs on the road between Thelnetham and Diss that were being obscured by undergrowth and hedgerows. 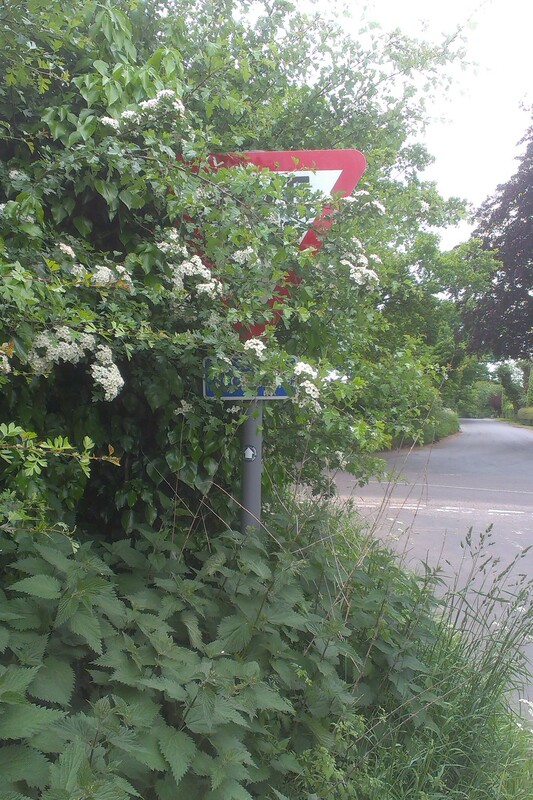 In two cases I was able to cut back the offending vegetation to make the sign visible again. Before and after shots are shown below. 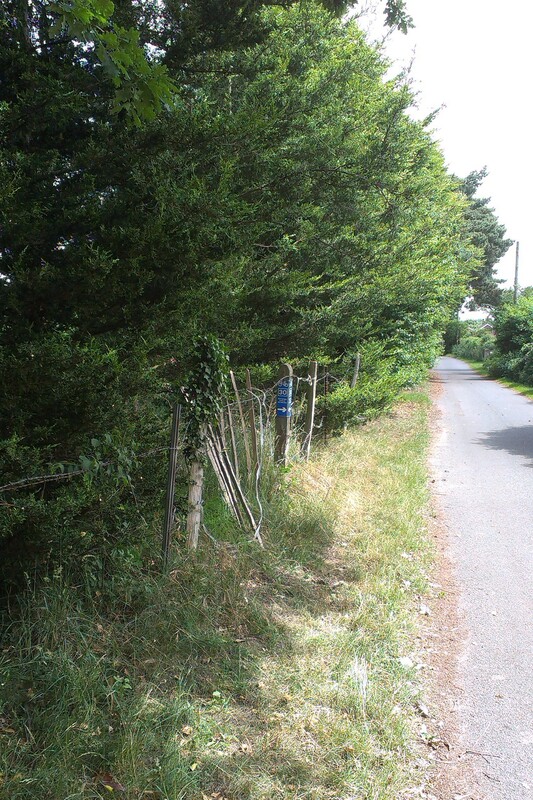 In the third case, a sign by the cross-roads with the B1113 was being absorbed into the hedge of a private garden, and will attention at a later date. 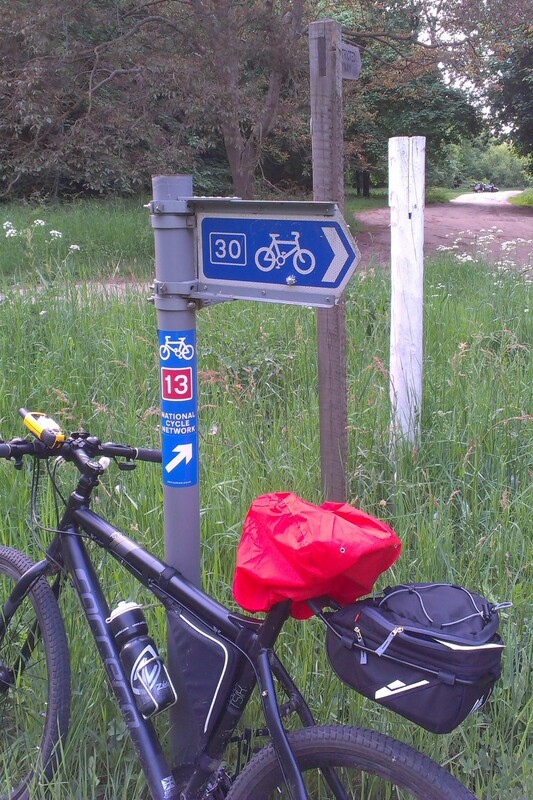 As the section of Route 13 and Route 30 to the east of Thetford currently doesn’t have a Volunteer Ranger looking after it, I decided to go for a ride and see what state it was in. The route itself was fine, and the signage wasn’t too bad, though there is a need for a few more confirmation signs along the way. 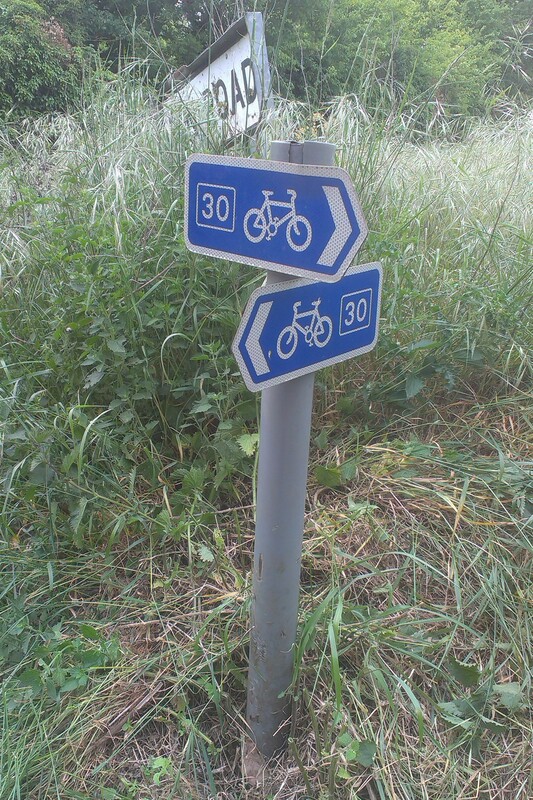 Unfortunately permanent signs were erected when only Route 30 went this way, so now most of the signage consists of a permanent 30 sign and a temporary 13 next to it. This doesn’t look great, but at least it’s functional. 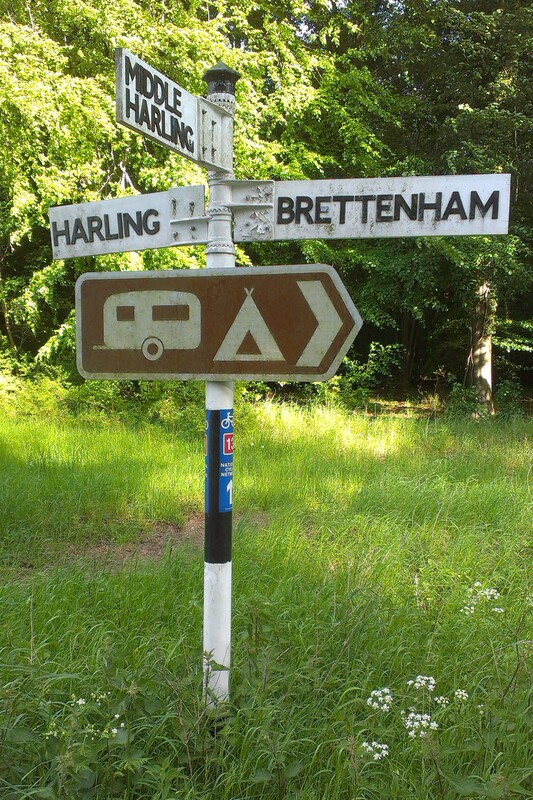 After leaving Thetford, the first signs are found at Brettenham. 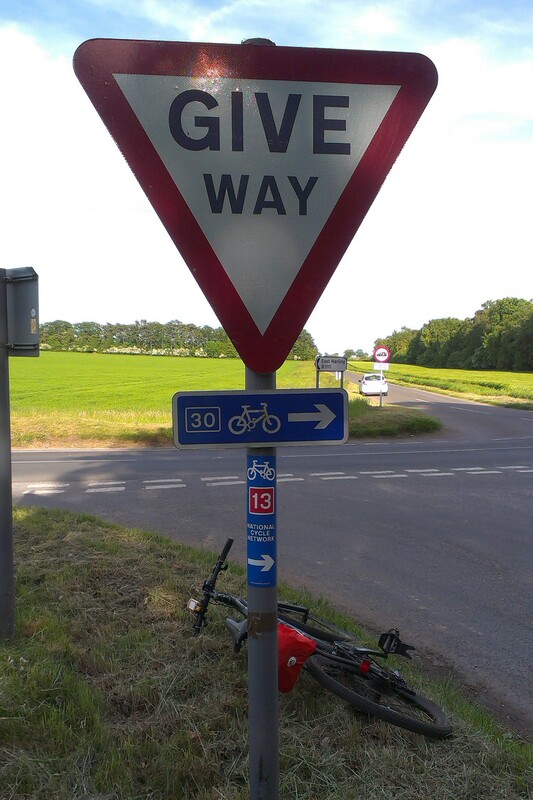 Just before the junction there was a lone 13 sign, and then a full set of signs in both directions at the junction. 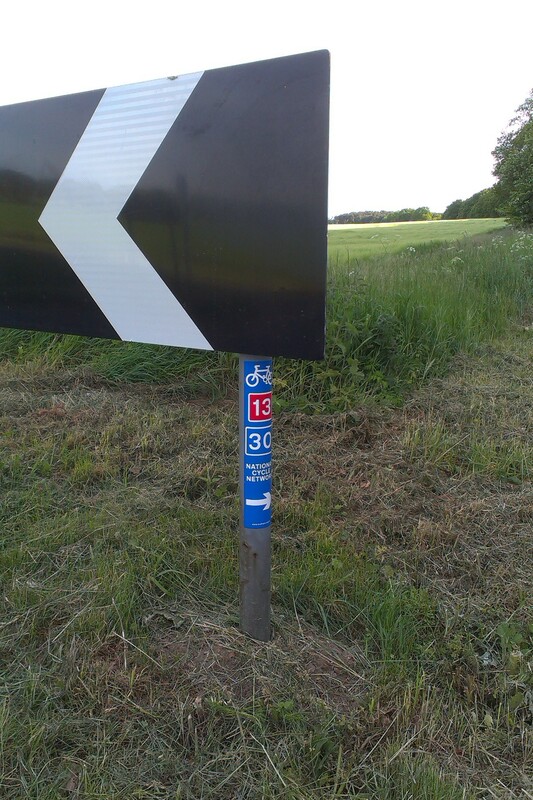 I removed the lone 13 sign since it wasn’t really needed there, and might cause confusion with riders wondering where route 30 had gone. We could do with a couple of confirmation signs along the way, and there might be some suitable telegraph poles for this. 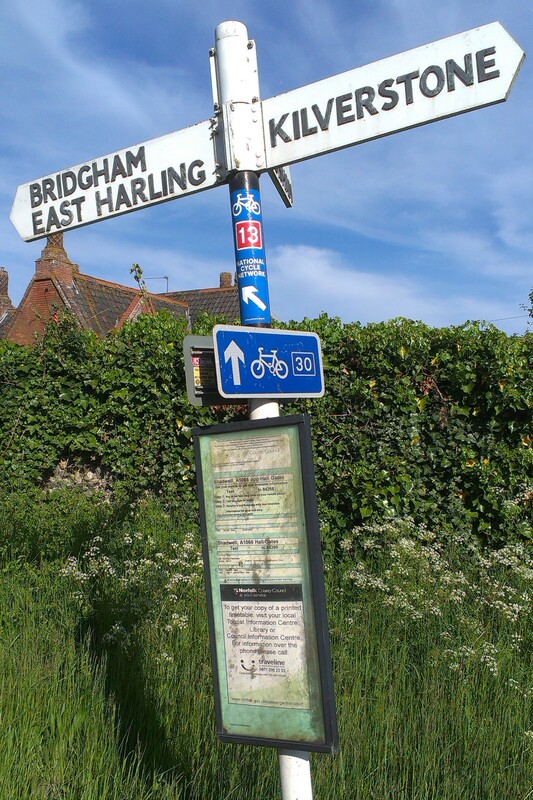 The next signs are at the turning on the way in to Bridgham, so a set of confirmation signs would be useful along the way. 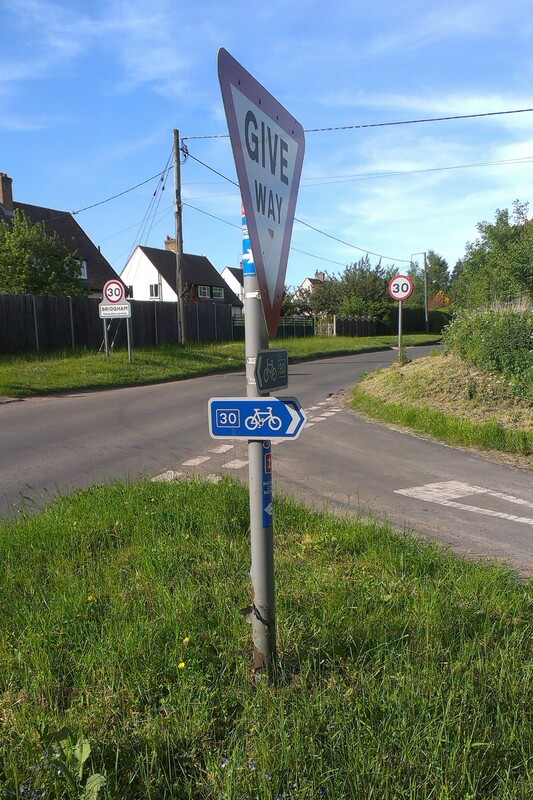 The Bridgham signs are again a case of permanent 30 signs and temporary 13 ones. 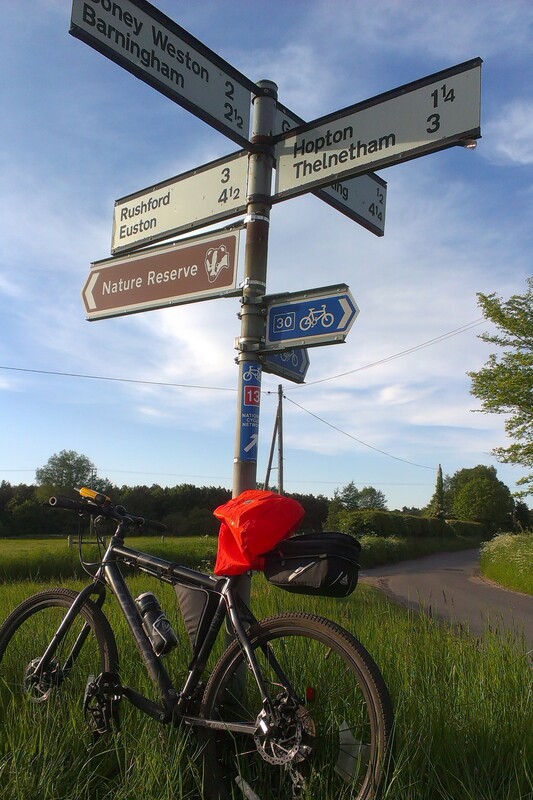 It’s the same at the southern end of the off-road section along Bridgham Lane. 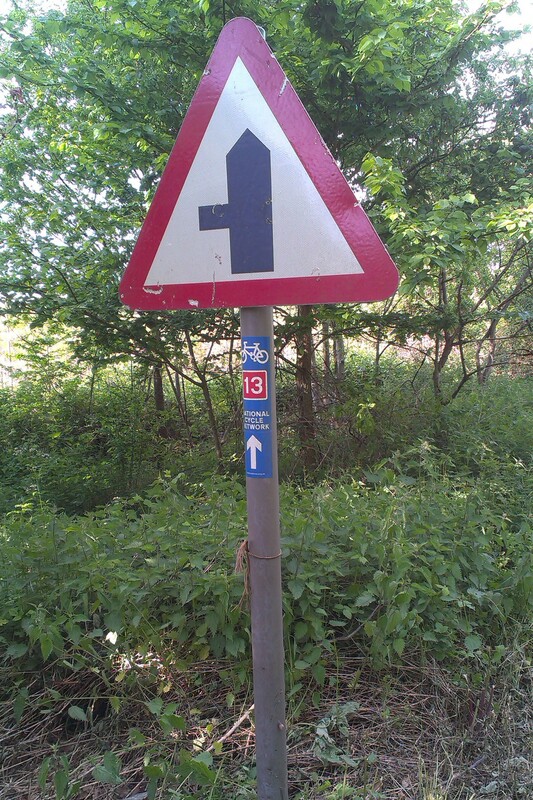 At the latter a did a bit of work, replacing a right arrow for a diagonal one, which better matched the direction of the route. 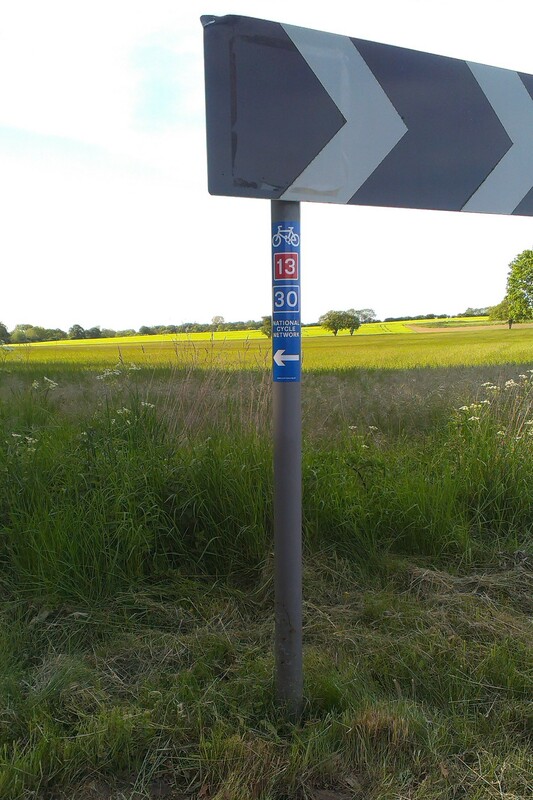 Carrying on, there were a couple of instances of only route 13 being signposted. This will need fixing in due course. 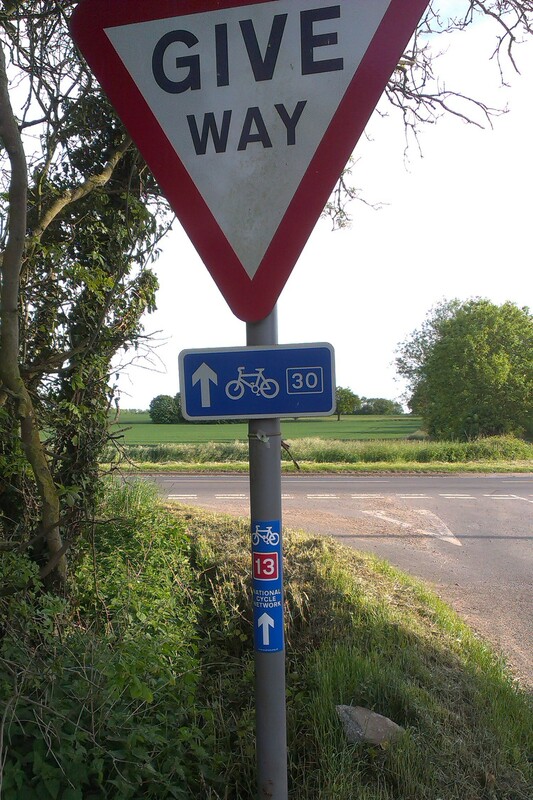 The, at the junction with the B1111, I did a bit more work. 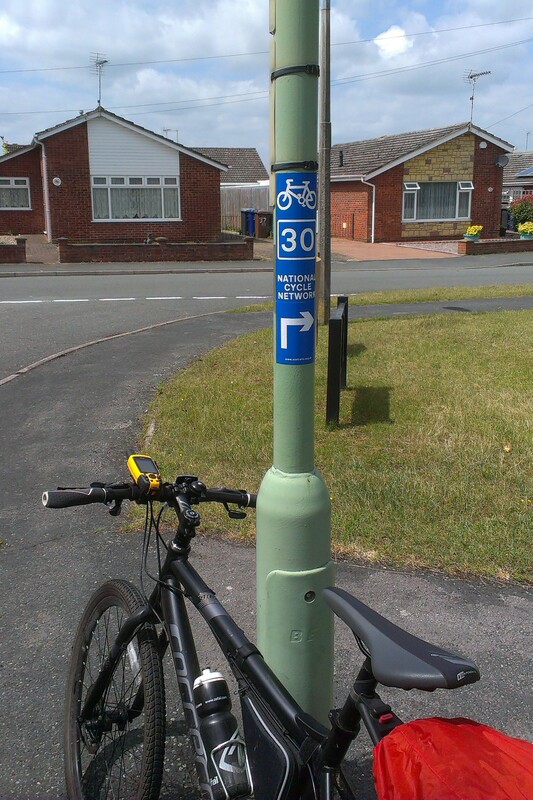 A permanent 30 sign needed rotating round, and I added a couple of additional temporary signs that would be visible ahead when cyclists reached the junction. 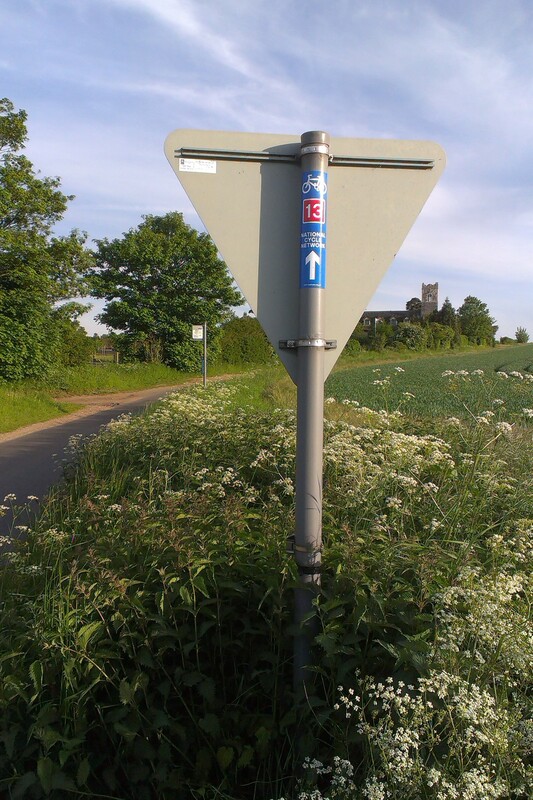 It was then on to the crossing of the A1066. Good signs there, but a set of confirmation signs would be good en route. 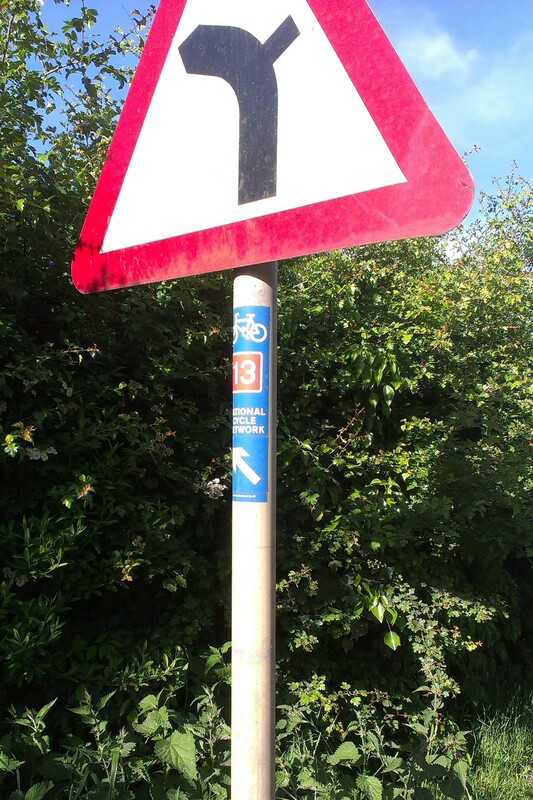 Finally at at the junction where route 13 splits off, I added a couple of new 13 signs to help direct riders. 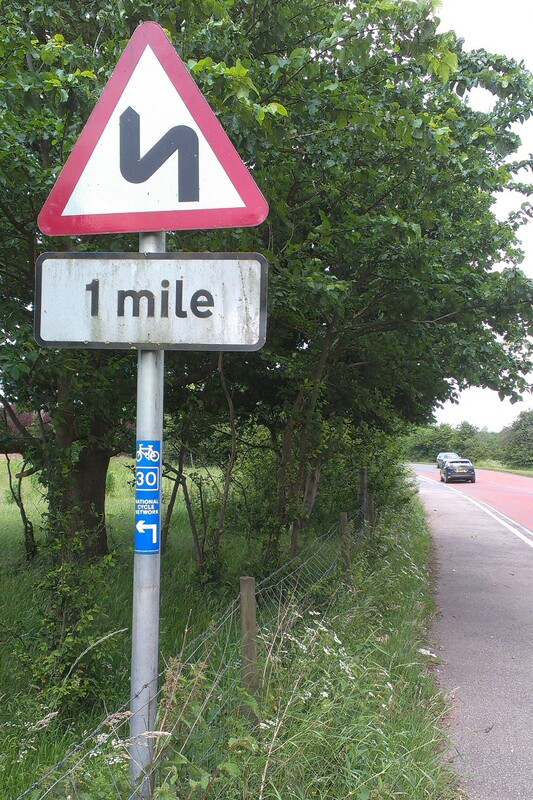 I wonder if there’s a possibility of getting a milepost, or at least a proper set of direction signs with destinations and distances on for this junction.